As the third most-populous state in the US, Florida is also the country’s largest producer of citrus fruit. It’s home to some of the top tourist destinations in the United States, and it’s known for beautiful weather year-round. With varying landscapes and cultures, an incredibly diverse natural ecosystem, and a thriving startup scene, it’s an incredible home for a business of any kind – especially given how tax-friendly it is to businesses and business owners, with no state income tax and a wealth of potential customers. Of course, just because Florida is business-friendly, doesn’t mean the process of starting a business there will always be completely painless. As with anything else, if you go in completely blind, you’re bound to run into trouble. Let’s make sure you don’t. Figure out where you’ll be located. Even if you don’t plan on maintaining a physical office, you’ll still need a physical address – it’s the law. When deciding, figure out where your target demographic will be located, and try to find an area that’s flush with skilled employees. Understand Florida’s tax laws. Business-friendly or no, tax laws can be migraine-inducing. Make sure you research your county’s unique tax requirements – you may need a license in certain counties, while others don’t require it. Further, make sure you understand how to register your business with both the IRS and the Florida Department of Revenue. Research the market. Not every industry can thrive in Florida. Make sure that whatever business you plan to start, there’s a market for what you’re going to sell. If there isn’t, it might be in your best interests to look elsewhere. Understand Florida’s land use laws. 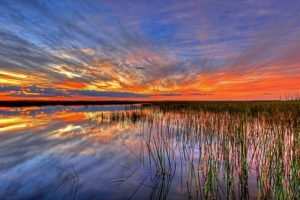 Florida holds businesses directly accountable for the impact they have on their environment. If your startup will work with any potentially-hazardous materials, you need to research what your responsibilities are, lest you get hit with some very hefty fines. Know there’s help if you need it. Florida maintains several fantastic economic assistance programs for minority business owners, small businesses, rural economic development, and several other areas within the business community. You can find more information here. Now that you know the basics, let’s get down to the finer details. Our guide on starting a business in Florida is a comprehensive one-stop walkthrough that’ll take you from your initial concept straight through to annual operations. Check it out, and feel free to contact us if you need a bit of extra assistance – as always, we’re happy to help! This entry was posted on Wednesday, September 27th, 2017 at 8:21 am	and is filed under Starting A Business. You can follow any responses to this entry through the RSS 2.0 feed. You can skip to the end and leave a response. Pinging is currently not allowed.